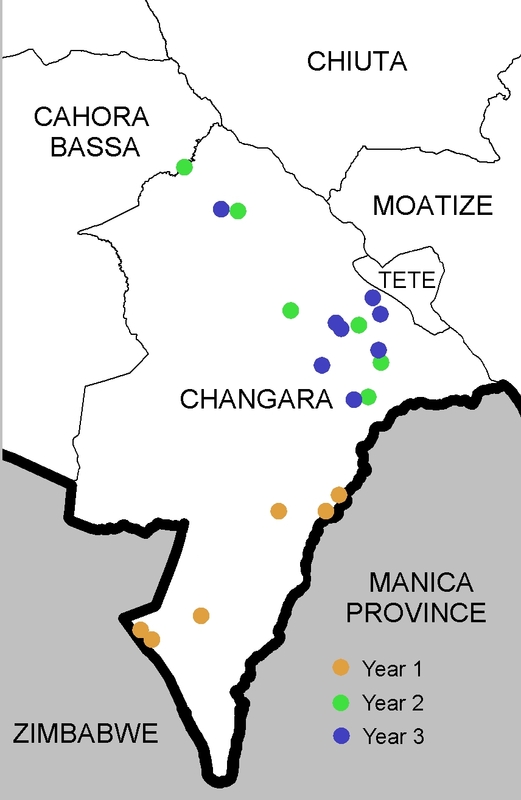 Here's a map showing the locations of CCM's dams in the Changara District. We're on our third year right now so the blue dots are mostly dams that are planned to be completed before August. The blue dots are also the ones that I'm currently helping with. CCM is planning an expansion of this project that will bring these dams to new provinces and districts throughout the country. Pretty exciting stuff.